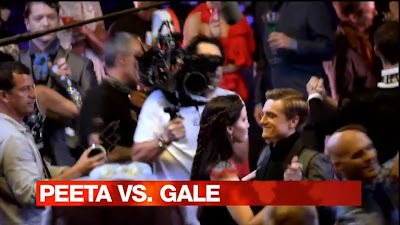 eTalk's exclusive Catching Fire special aired today in Canada, and it was packed with awesome new interview snippets with Jennifer, Josh, Jena and Sam. Also included was a lot of really cool behind the scenes footage from the filming of the movie. Included are looks at the party at Snow's mansion, the training centre and the District 12 reaping. Many thanks to lurkinginthecorner for the HD material!